It is not just a prayer that we make when we need help with something or want to ask for something. They can have very deep meaning and can really bring so many different types of benefits to ourselves and people around us. I have written an article before about what it means to do pujas. I explained how it can literally help people and why it is an important part of our practice for developing compassion and care for others. There is a lot of meaning behind all the rituals, recitations, altar offerings and set-up. You can read it here. About 3 years ago, two of my friends from Gaden Shartse Monastery, Ven. Kating Rinpoche and Gen Lobsang Yeshe, came to KL to teach some of my students how to do some of the pujas that are done often in the monasteries. The monks taught my students how to do the pujas exactly the way that the Sangha in monasteries have been doing them for hundreds of years. After the pujas were transliterated into English, the monks taught them how to make the traditional tormas (ritual cakes which represent food offerings), and all the recitation and rituals for each puja. Some of them were very complex and involved a lot of elaborate set-up but the monks patiently taught our Kechara members how to do everything, so they would be able to do the pujas on their own in the future, when the monks were not around. After the monks returned to Gaden, the puja group practised each puja a minimum of six times each on their own, including making the tormas and setting up the altar, as they had been taught. 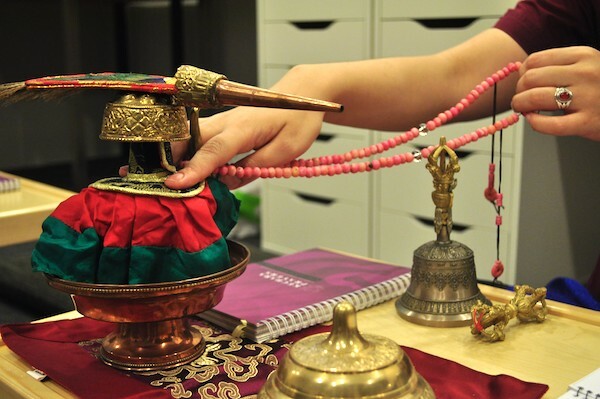 After they had fully mastered the pujas themselves, they taught it to other people in Kechara House, so that it can be available for people who need pujas done for whatever situation they are facing. 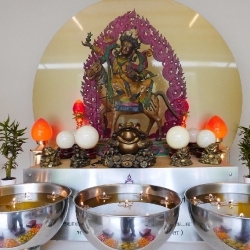 Since then, two of the pujas they learnt have become a part of the weekly pujas in Kechara House – Drolchok (Tara) and Menlha (Medicine Buddha). How wonderful that we can now offer these blessed pujas to Malaysians and people around the region. These pujas, which have been done for hundreds of years in the monasteries by the Sangha are very powerful methods for us to overcome difficulties, create huge amounts of merit and invite protection, good health and long life. Below there are some short explanations of the different pujas that the hardworking puja group have learnt from the monks. Yes in Kechara House we can do authentic blessed pujas for the public now after much training. The pujas are from the 600 year old Gaden Monastery. A regular get-together to do pujas. 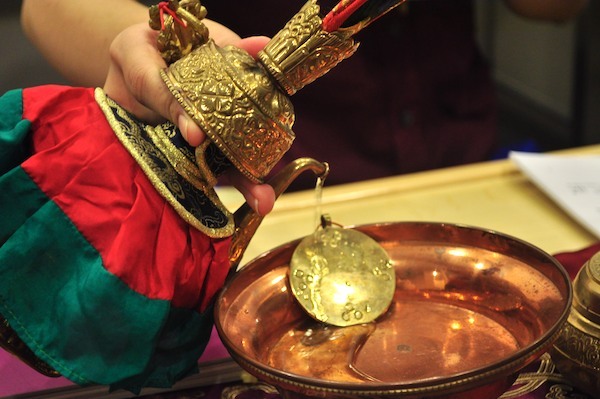 After receiving training, KH members will be performing these pujas exactly the way they are done in the monasteries. Part of the training includes learning how to make all the tormas (food offerings) and altar set-up, which is different for each puja. Students learning how to mix the torma dough, which includes ground oats, sugar, honey, milk, melted butter and yoghurt (all representing white substances). This is an incense offering prayer which is very good for removing obstacles, especially during urgent situations when we don’t have much time to do a long ritual. It is also very good if we do recite this prayer and offering sang (incense) just before we embark on a big new project, activity, event or travel. It can help us to clear immediate obstacles to our endeavours. Offering incense is also a very powerful way to create the cause / karma to be able to hold our vows and live in very ethical, pure ways. For this prayer, you offer a special mixture which includes oats, honey, sugar, some yoghurt, beans and a lot of incense, as much as possible. It is usually, offered outside the building as it can become quite smokey; then you recite the prayer. At the same time, the ritual includes hanging prayer flags outside the home, in dedication of the sponsor. Mixing the special oat mixture together with the incense. Burning the incense outside the premises. Hanging up auspicious prayer flags. This is a Tara puja – a very beautiful prayer that includes many verses of offering and the famous Praises to the 21 Taras, which are recited many times throughout the puja. Tara is known to be very swift for answering our requests and wishes. She is very helpful especially for making Dharma wishes come true and helping Dharma work and practice to grow. It is very good to engage in Drolchok practice if we wish for success, harmony and smoothness in whatever we are doing. Kechara House now does Drolchok pujas every Sunday evening at 5pm. Beautiful offerings made to Tara during the Drolchok puja. At every week’s Sunday Drolchok puja, the puja team set up everything exactly like this, including making the tormas from scratch. 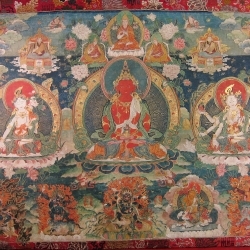 This is a puja done towards Namgyalma, one of the three most well-known long-life deities (the other two are White Tara and Amitayus). Namgyalma’s practice, in general, is very powerful for bestowing long life or extending one’s life, healing illnesses and protecting us from negative interferences / spirit disturbances. It is said that reciting her long mantra three times over an animal is powerful enough to prevent them from taking rebirth in lower states. There are many beautiful stories related to how Namgyalma’s practice has saved beings from being reborn as animals or in suffering states. This puja that the monks taught Kecharians is helping to clear for obstacles, especially in relation to health and illnesses. The tormas which are made as well as the ritual are structured towards removing obstacles and then inviting in good health, abundance and all good things. A part of the ritual includes long-life pills (“tseri”) which are made together with all the tormas and long-life nectar (“dutsi”) – during the puja, there are times when participants will all eat some of the tseri and drink a few drops of the dutsi. This is also passed out to everyone as a blessing for long-life after the puja. Full altar set-up for Namgyal Tsechog which includes the “tseri”(long life pills) “dutsi” (long life nectar) in a long-life vase and of course an image of Namgyalma. This puja is related to the Heart Sutra, one of the most central and important sutras of the Buddhist cannon. It is often prescribed during divinations to clear negative spirit disturbances; people who are afflicted by spirit disturbances are also sometimes advised to recite the Heart Sutra as it is also very helpful to the spirits who come looking for help. For this puja, we have to make tormas for the spirits (called “lus”) that are offered to the spirits during the ritual. There is also what we call a “sponsor lu” which is a torma made into the shape of a person, in the likeness of the sponsor. The sponsor lu is dressed in beautiful cloths, including a piece of the sponsor’s own clothing and a photo of the sponsor, and adorned with materials like iron, copper, silver and gold (or representations of these items). During the ritual, we invite the spirits to come and we draw their attention towards the sponsor lu, telling them how beautiful and wealthy this version of the sponsor is. The representations of gold, silver, copper etc that we placed on the lu symbolise his wealth, that he has many extensive resources. The sponsor lu, together with all the lu offerings are then taken out of the room; the spirits and obstacles then follow this version of the sponsor instead, freeing the actual real sponsor of any further disturbance. In the middle of the puja, before tormas are taken out, there is also a very long recitation of the Heart Sutra – 9 times for each spirit lu that is placed on the altar. This amounts to 252 recitations of the Heart Sutra, which generates a tremendous amount of merit for the sponsor, puja participants and even the spirits. KH members and regular puja-goers receiving training for the Gyabshi puja. Over 20 people have already been trained in this puja. During the Gyabshi ritual, we make prayers to and request Buddha Shakyamuni to “talk” to and bless the spirits before we send them away. Gyabshi means “400 offerings” which refers to the offerings that are made to the 400 obstacles during the ritual – we offer up 100 stupas, 100 candles and 200 lu tormas throughout the puja. During the puja, we invoke the blessings and protection of Yamantaka, Setrap and Buddha Shakyamuni, to assist in removing the obstacles. Then, there are many, many offerings made throughout the puja to generate merit for the sponsor and also to appease the spirits or obstacle- maker. The set-up is similar to Sheningdundok – there are also “lu” tormas made as offerings to the spirits and a “sponsor lu” made in the likeness of the sponsor. The spirits / obstacle-makers are invited to the place and we give them many offerings; we also instruct them to sit in front of Buddha to receive blessings and teachings from him. All the lu tormas and sponsor lu are then invited out of the building. This symbolises that the obstacle follows the tormas out and is no longer attached to the sponsor. Main altar set up for Gyabshi, including sensory offerings to Yamantaka. Side altar, specifically set up with extensive offerings to the spirits/obstacle-makers. A view of the full altar-set up for Gyabshi, which, as you can see is very complex but beautifully and meticulously arranged. Buddha Shakyamuni sitting atop a butterlamp of pearls. 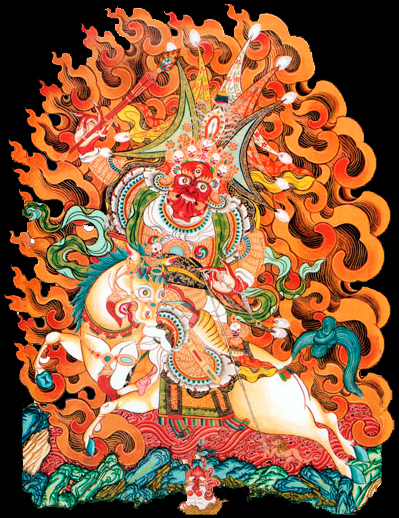 The Dharma Protector, Lord Setrap who is the wrathful emanation of Amitabha Buddha, is an enlightened being manifesting as a worldly protector to help us directly and quickly. Sworn to protect the teachings of Buddha Shakyamuni, Lord Setrap has been the Dharma Protector of Gaden Shartse Monastery for the past 600 years. It is Lord Setrap’s task to clear our immediate obstacles and create conducive conditions for us to practise the Dharma. Thus in response to sincere prayers requesting his assistance, Setrap is well known for swiftly destroying outer (physical) obstacles and clearing inner (mental) obstacles for our spiritual progress. With rich gold skin, Dzambala is renowned as the Buddha of Wealth. In the short term, he can help us overcome financial problems and bring material wealth. Ultimately, Dzambala’s practice brings us spiritual wealth and helps us to overcome inner emotional poverty. Emotional poverty refers to afflictions such as our miserliness, greed and the inability to share. 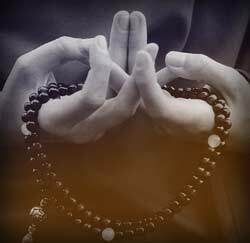 Dzambala’s practice helps us dispel miserliness and develop generosity which is the real karmic cause for wealth. When we develop such generosity, all our material and emotional difficulties melt away and abundance will naturally fall upon us. Thus when we propitiate Dzambala in a puja, he will help to invoke powerful wealth energy on many levels – material, emotional and spiritual. Also known as White Umbrella or Sitātapatrā, Dukkar is regarded as a female counterpart to Avalokiteśvara, the bodhisattva of compassion. Like him, Dukkar manifests in many elaborate forms: having a thousand faces, arms and legs, or simply as a feminine deity of great beauty. Her speciality is the removal of obstacles related to legal cases, black magic, diseases and disturbances from 60 classes of spirits. Dukkar puja is very effective for purifying the karma of being wrongly accused in arguments or legal cases, healing and strengthening the body against physical harm. She is also particularly efficacious in providing protection against spells, black magic and harmful supernatural forces. On a worldly level, Dukkar is very healing and helps to strengthen the body against physical problems – it is said that prayer to her fortifies our body so strongly that spirits literally cannot invade. 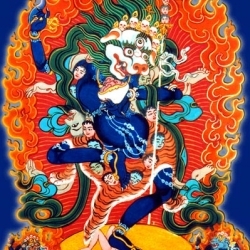 In the monasteries, Jampel Tsenchoe, or recitation of the 108 names of Manjushri, is a praise of Manjushri as the embodiment of all knowledge. This prayer is recited daily by young monks to sharpen their learning, memory, intellectual ability and prowess to prepare them for debate. Invoking the energies of Manjushri, the Buddha of Wisdom, bestows upon us great clarity and the ability to study well. Manjushri helps to remove our temporary obstacles to learning so that we can gain great knowledge which will benefit ourselves and others. This puja is extremely beneficial for students who are studying and preparing for examinations or for anyone seeking to gain higher wisdom. 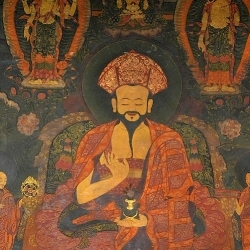 Chokchu Munsel or The Sutra of the Great Vehicle called “The Exalted Dispeller of Darkness of the Ten Directions” can be recited to clear obstacles for people travelling for leisure, work or business, pilgrimages and students going abroad to study. Leaving nothing to chance, have us perform the Chokchu Munsel on your behalf and leave with peace of mind. Of the 10 Refuge Vows, four are focused on cutting negative habituation’s related to speech. It is because words have power and can turn into physical obstacles. For example, people who practise black magic can create physical obstacles such as accidents, death, poisoning and sickness for others. Similarly, if people gossip about us enough, we can become sick, have accidents or encounter unpleasant incidents. Recitation of Dorje Denmo is done specifically to cut the power of such words. It does not stop malicious speech but it can stop the effects of such talk. This is an effective defensive mechanism but ultimately it is more beneficial to find a permanent solution to this harm by decreasing or removing the cause of it in the first place. As the Buddha taught, cause resembles the result. Lama Chopa Tsok Puja and recitation of the Lamrim (Stages of the Path to Enlightenment written by Lama Tsongkhapa) can be performed to accumulate merits for the deceased to take a good rebirth and help surviving relatives of the deceased to overcome their grief. Ideally, it should be done within 49 days of the passing away of the deceased. This can be performed at the centre and need not be performed in situ as the purpose is the accumulation of merit to be dedicated to the deceased and this can be done from anywhere. Soongdrup is somewhat similar to Trusol, but its main aim is to consecrate statues instead of an environment. Rabnye Puja is done to purify holy items like mantras as well as thumbdrives, photos etc that is to be placed into a statue. Before consecrating items into a statue, the items have to be purified and blessed thus the purpose of Rabnye is to do this. Trusol is a sacred bathing the Buddhas ritual and consecration. In reality, Buddhas do not need to be bathed, but practitioners (and patrons) cleanse their own negativities, sicknesses and obstacles through this ritual. This holy practice has been passed down to His Eminence from the great Abbot Emiritus of Gaden Shartse Monastery, His Eminence Kensur Jetsun Jampa Yeshe Rinpoche on 26th October 1991. In the year 2008, H.E. 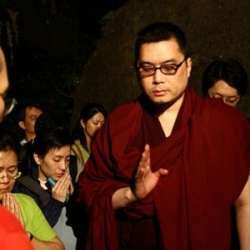 Tsem Rinpoche taught a small group of 5 students this ritual, which was passed down through and practised in Gaden Shartse Monastery, initially for the purpose of blessing the land for the future Kechara World Peace Centre. This ritual is commonly done to bless Buddha images, temples, homes, offices or new places. The water from Trusol can also be used for cleansing the chakras. 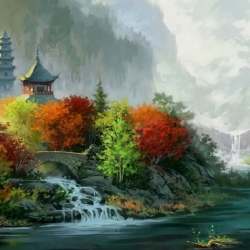 When it is a new place, there is no positive or negative energy. Therefore, before it starts collecting negative energy, we bless the place with positive energy first. We are not Buddha or Enlighten Beings, we do not have the power to bless, but having the right motivation and compassion when we do the rituals, coupled with the Buddha’s blessings, the puja becomes a powerful blessing ritual. 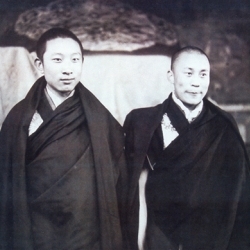 It is Rinpoche’s wish that the lineage can be held by and passed down to local practitioners. The first group of students has since performed various blessings and consecrations, and now is ready to train up the second batch of Trusol-ers in Kechara. Trusol is a safe and gentle ritual for non-initiatives to learn. 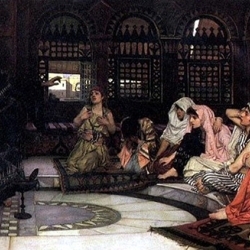 Ritual is actually an inappropriate word to encapsulate the true meaning of trusol. In Tibetan, they call it “shabden” (not sure if spelling is correct). Shabden means literally to stablize, to make firm, potent and to be blessed. So, when we do a trusol shabden, it stablizes the life of the person we are praying for, or the house, the environment, and even ourselves. It blesses the people and will even prolong their lives. 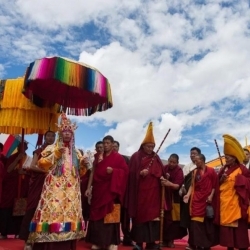 In Tibetan Buddhism, there are different pujas to counter specific problems. For example, a Manjushri Shabden or puja is best for countering stupidity or ignorance. 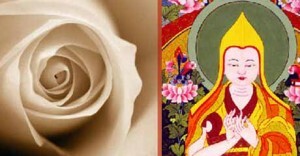 Manjushri is the Buddha of Wisdom. 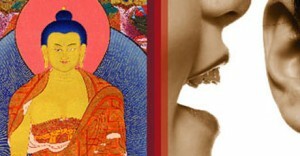 To counter anger, we can perform a Chenrezig or Avalokiteshvara shabden or puja. 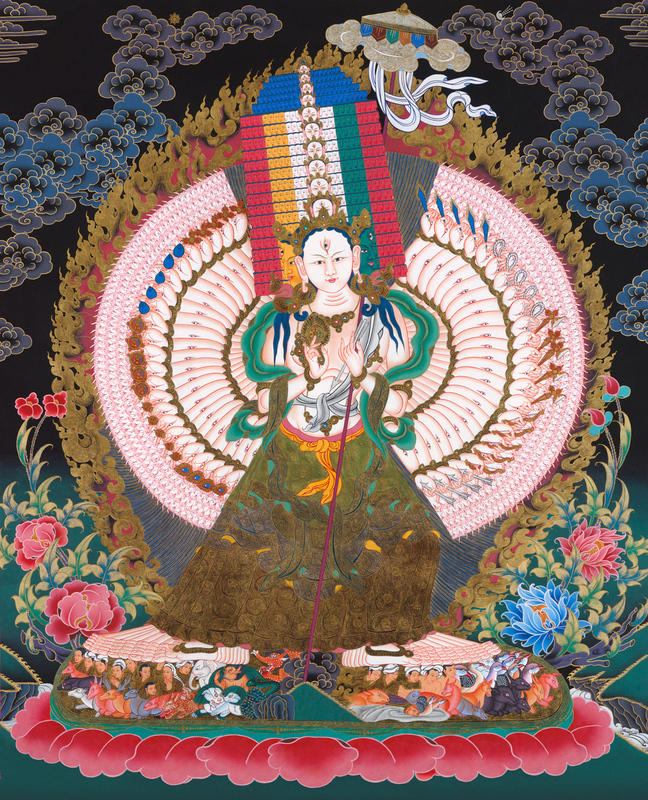 Avalokiteshvara is the Buddha of Compassion. Hence, to bless a new room, office, building, temple, we perform a Trusol Shabden or Puja. It is to bless the environment or place with positive and good energy, and to block the negative energy. When we do a Trusol puja, we are infusing the walls, ceilings and floors of the rooms in a building with positive energy. The water is the main essence in this puja. Here, water is symbolic for washing all the impurities and negativities away and to prepare the place or object to be blessed for something much better. The mirror is another important substance in this puja. The mirror represents our mind. 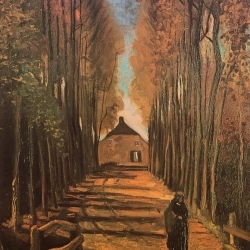 It reflects the outside as well as inside – what is within our mind and what we see on the outside. All that is needed is consistent training of the mind for it to become a mind of good memory, a mind of clarity and etc. With constant training, the mind becomes better and wider – limitless. Therefore, we cheat ourselves when we counter Buddha’s teachings when we keep saying that we do not have good memory and our mind is inferior. We will also end up cheating everyone else around us with such a limited thinking. 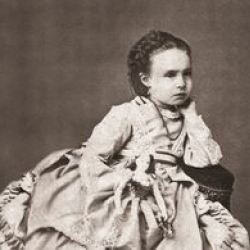 Hence, we should cast limitations on our minds when its capabilities are boundless. There is the outer Buddha and there is the inner Buddha – our inner potential. The first step of transforming our mind is to surrender all our harmful actions of body, speech and mind. When our harmful habits and actions stop, then real transformation takes place. We stop limiting ourselves. So, the mirror is symbolic representation of our mind. In Trusol, we flash the mirror around the environment, and everything will be ‘captured’ or reflected in the mirror. Everything is in the mirror. When we ring the bell, it is like a huge Enlightened welcoming party for the Buddhas. Then we dissolve the Buddhas into the mirror and wash the Buddha, the Dharma and Sangha. The Buddhas do not need to be cleansed but our negativities and bad karma need to be purified badly. So, this washing or bathing sequence in the puja represents the cleansing of everything that is impure and negative in us. Whatever we offer up to the Buddhas, we make the best offerings that we can afford. It is not the Buddhas who need them, but we need them. Hence, by offering the very best we can afford to the Buddhas, we create the causes for us to receive in return. This applies to when we make food offerings, water offerings, etc. And the merits we collected from doing this wonderful puja, we dedicate it back to the purpose or the cause of the puja. So, after washing the mirror, we flash it back around the environment, putting everything back in place. When we have more concentration, the puja becomes more effective and more beneficial. This is exactly how they do it in Gaden Monastery and they perform the Trusol with about 300 monks together. All these help us to do our Trusol puja well, because we are blessing something for someone, making it meaningful and beautiful for someone. By the power of our motivation and combined with the Buddhas’ Blessings, it is very powerful, beneficial and effective. This Trusol puja was taught by the great Lama Tsongkhapa. So, it is authentic and real. Therefore, it is our honour to be able to learn this here and now. To be chosen to be trained is a great priviledge. « This is so funny!!! We face difficulties and obstacles constantly in our lives. We get worried with our problems and get into a depressive mood and become stuck in our loss of logical thinking to find a solution to our problems. We become totally helpless and distraught. In this article, H.E. the 25th Tsem Rinpoche is teaching us a way out by creating purification to remove our obstacles and gaining merits whereby the divine can assist us. The way out is through faith and trust in the Buddhas and have PUJAS performed to assist us along. From my personal experience from having pujas conducted at Kechara house on my behalf, my worries and obstructions are removed. The Pujas I like most are those to Protector Dorje Shugden. They are amazing. Thank you Rinpoche for this extensive article on the authentic pujas conducted by Kechara just like how they were done in the monastery. The pujas that have been done for hundreds of years in the monasteries by the Sangha are very powerful methods for everyone to overcome difficulties, create huge amounts of merit and invite protection, good health and long life. How fortunate and luck of us to have these unabridged pujas with authentic offerings. Many people truly benefited from the pujas. Thank you Rinpoche for giving us a clear explanation on the importance of puja and the various puja available which can help us to clear our obstacles. We are very fortunate that Rinpoche invited monks from Gaden Monastery to teach the puja team in Kechara to do puja so we can apply the same approach as in monastery in Tibet. Puja is very beneficial in helping us to clear our obstacles, overcome difficulties and give protection against harm and blessing. Thank you for setting up Puja House in Kechara. Our Pujas had been helping peoples in dire situation and some even in the matter of life and death. I had seen the effects of puja with my own eyes and how puja can benefit someone so much. In another post, Rinpoche says Puja is an act of compassion. When someone near to us have obstacles in their life and we are unable to help them due to our own insufficient of resources or ability, doing a puja for them is way better than sitting around and hoping the situtation to unfold itself. Many people always said not good in memory , I am the one of them. I will change my mindset after I read the statement above. Thank you Rinpoche for sharing this posting. It’s make us layman aware and have good understanding and meaning of each and different pujas that served its purposes and circumstances that may required. Thank you Rinpoche for the sharing and brings Pujas to Malaysia. It is so honored that we can volunteer in Puja House and doing the puja to benefits ours. Lhapsang incense offering it is a very powerful and effective to clear obstacles and purify our negative energy. 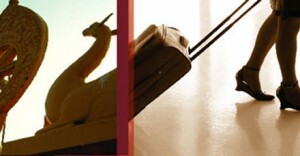 It is very good to do it before you go for travel. Incense offering prayer(Lhapsang) is very effective to help us clear obstacles,collect merits and create the cause for us to be able to hold our can hold our commitment and vows in a pure way. May all sentient being continue be benefited from this powerful pujas. Thank you Rinpoche for sharing. That’s so many Puja’s in Tibetan Buddhism. Long way to learn. Thank You Rinpoche for sharing the article to us. I believe in the power of Buddhist Mantras and pujas. I have been trying very hard to revive my already devastated career since 2011 by going for an MBA study abroad, but owing to lack of funds I am unable to go. I would request you to please pray on my behalf to GOD-the Almighty, so that I may be able to get some funds through disposal of my aunt’s property this year, which would enable me to undertake the desire destination for me. Thanks Rinpoche for the sharing. There are some puja that i am not familiar with and through this blog post, i can know the actual purpose of doing some of the puja like Gyabsi. I like Tara Puja the most. I know that the puja that Rinpoche want to be done everyday at Kechara House is Tara Puja and Dukkar Puja.And both of them also are my favorite deity. Hope that the puja not only can benefit me, but to benefit the people around me too. I love Puja! Especially Menhla (Medicine Buddha Puja)! By the way Menhla is held every Tuesday 8pm at Kechara House. 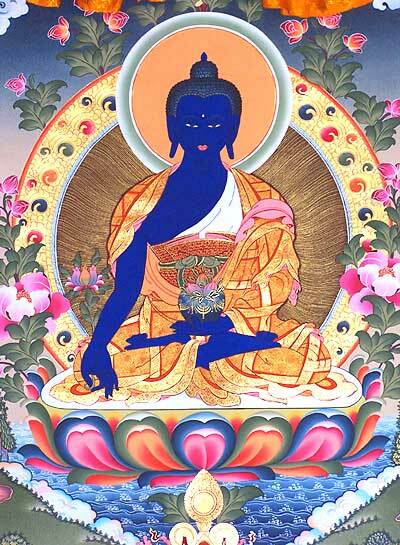 I have an experience with the benefits of Medicine Buddha Puja. Last year December, I have undergone a corrective jaw surgery under the advised of my Oral and Maxillofacial Surgeons/Dentist. KMP (Kechara Media & Publications) has kindly sponsored a Menhla puja to be done on the day of my surgery and another Menhla puja which was kindly sponsored by Chin Yong, Gim Lee’s Cousin for my fast recovery. The miracle is I did not feel much/severed pain as predicted by the doctor, Morphine was being removed the next morning of the surgery. My recovery process was fast and even the doctors are surprised. As they said my case is rare as I have to do both the upper and lower jaw and being under GA (General Anaesthesia) for 8 hours or more. The day before the surgery, I had visitors and flower baskets sent to me which are from Rinpoche, KMP and some other kind members. I’m considered very lucky that Menhla puja and prayers have been done to ease my mind and feel blessed. Thank you Rinpoche and all that have shown me much care and love. Good wishes to all of you. 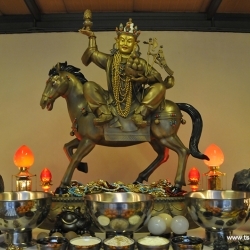 Having a puja house can bring a lot of benefit to Malaysians. Pujas are truly very powerful, I had the honour to witness quite a few miracles that have happened after Pujas being done. I personally do believe in Pujas, when Pujas are done with correct motivations, it will definitely show results. Kechara House has a very special Kechara Puja House, where a group of members will be performing Pujas for the sponsors, I think that it’s very great as it will benefit a lot of people. I have always found Puja’s very beautiful and therapeutic once after coming out of one. It is beautiful that Rinpoche has given the opportunity for all the Kecharians to learn and went through great lengths to get Ven. Kating Rinpoche and Gen Lobsang Yeshe to come all the way to Malaysia and patiently teach Kecharians how to conduct pujas. Now the traditional practice can be spread to other people who are interested in learning how to do pujas. Thank you Rinpoche for sharing this with us. Pujas are very powerful and effective when they are done with the right motivation with Buddha’s Blessing. I personally have benefited from the pujas done in the monastery by the monks for 8 months more than 4 years ago and now my major health problems have been solved. I wish to thank Rinpoche from the depth of my heart for being so kindly and patiently arranging all these wonderful pujas for me. 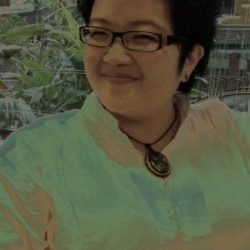 I was fortunate to be part of the puja team in Kechara House from the beginning and learned many pujas. Later I was able to perform pujas in the Kechara Puja House. A puja, as Rinpoche said, is an expression of our compassion. When we do pujas for others, we are in fact showing that we care about others and their well-being. When we hear from the sponsors that the pujas have benefited them, we feel very happy. How wonderful that Kechara has such authentic pujas that are incredibly meritorious and efficacious! It is all thanks to Rinpoche’s forward vision and blessings that we in Kechara are able to learn directly from the true source that is the Monasteries in India. This is so nice, that I can knows more in details about all this pujas. Thank you Rinpoche for sharing this post and teachings. Thank you Rinpoche Sharing ! I am believe Puja can bring benefit to us ! 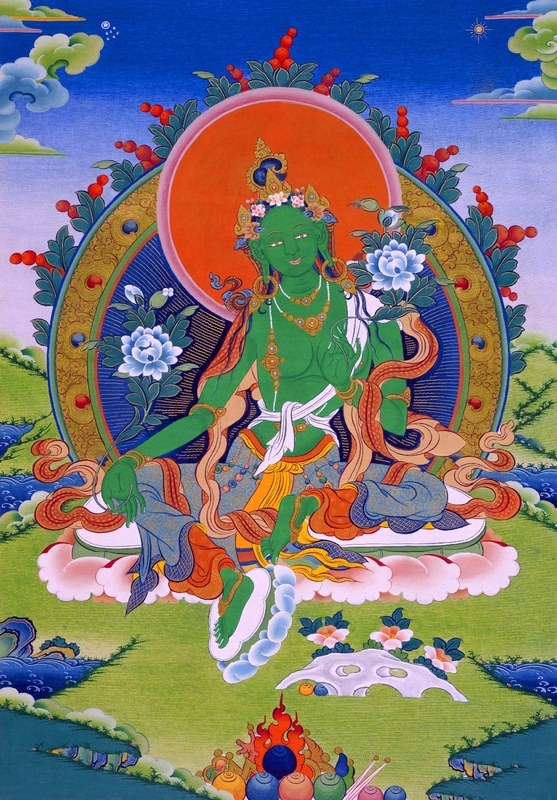 I have requested for Green Tara puja and dedicated to my twin daughters , during that time , they are pre-mature babies and need to stay in incubator , after done the puja , both of them in good health and cute , Thank you Rinpoche . I’ m felt so proud that Kechara House can provide so many powerful puja which can help us overcome different type of obstacles. They are well trained, in proper protocol, all the steps and set up is in order.Thank you Rinpoche and the team make it so successful. Thank you Rinpoche for sharing this puja explanation with us. I love all puja I think for lay people like us need puja a lot because it help us to clear obstacles, we are so fortunate that we have these powerful puja here available in Kechara for us. I believe in the powers of puja. 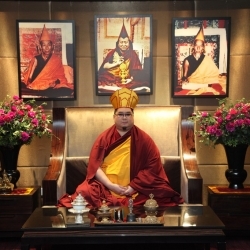 As a volunteer in Kechara Puja House (previously known as Shabten Kang), I have performed quite a few pujas that Rinpoche has mentioned in this article. Performing a puja for the sponsors, I do feel very healing myself too, to be able to help those in need, through pujas. I have faith in the pujas and more importantly, my Guru. How bless we are to be at Kechara Houses where we can do authentic blessed pujas after much training from the seniors and also all the pujas are from the 600 year old Gaden Monastery. How fortunate! Pujas are wonderful and effective at the same time. Thank you Rinpoche for sharing this article about each individual pujas and its benefits. Pujas are very effective to bring relief and clear obstacles and especially if the practitioners performed with the right motivation. I have personally had many obstacles cleared after pujas were performed. The KH puja teams are very fortunate to be able to learn and train up to do the pujas and they have dedicated their time and effort to do the puja well so that it will be of tremendous benefit to others. Pujas are indeed powerful. I have felt their effectiveness and benefits before. When pujas are done with right motivation and for good things, the effect is almost certain. Pujas show that on a scientific level, our mind can heal others through good intention and on a spiritual level, we can use the Buddhas to heal others via chanting and puja. I guess it is another sign that our mind has Buddha nature. The capability to heal. Thank you Rinpoche for sharing this information about puja. I personally think puja is very effective as long as our motivation in doing the puja is correct. We as a Kecharian are very fortunate to get to learn all these pujas which will bring tremendous amount of benefits to our spiritual journey. I find that puja is very interesting in the sense it involve our body, speech and mind into action. And that you can ‘perform’ it repeatedly, no matter the number of times you have actually done it previously. It can be a prayer for a sick person, for a challenging part of our lives we are going thru and for a good outcome. It should not be thought as a bored or meaningless task. Instead we can support and help the person indirectly by doing pujas. It should be a feeling of compassionate towards the person, the wish we can help the person. And perhaps everyone? So puja is towards other people. We are very fortunate to learn all these Holy prayers/ pujas according to out mother monastery Gaden. It is very lucky for local Malaysian to have pujas ready in Kechara. My mum suddenly lost her right eye sight, my brother, sister and I are so worry as my mum staying alone. I called up Mrs Ngeow to arrange for Setrap Puja and Medicine Buddha Puja for my mum, the next day when my brother took my mum to do a medical check up, Doctor said the eye is still fine, just that there’re some blood clog at the back of the eye, which they need to do some test to determine if operation needed. Dr Jiang told me that it is quite normal to happen as long as the eye is still fuctioning, then my mum’s eye sight will recover once the blood clog is cleared, Dr Jaing told me before the actual medical check up, so it matches what the Doctor said the next day. I thank you Rinpoche for planning to have Malaysian learned up and do traditional Puja in modern city. 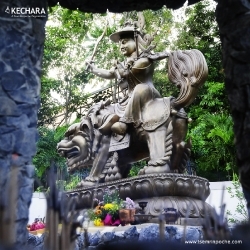 This is a wonderful post with such details on each puja offered by Kechara. Pujas itself are very effective to clear obstacles, they have such great power to calm our mind down and a great meditation. Kechara is so kind to have so many authentic pujas available for us especially cater for us modern busy life. Thankyou! Thank you Dearest Rinpoche ! I shall ask you to do a Menlha and a Gyabshi Pujas for my Dearest mother and me who have big troubles. Dukkar and Namgyal Tsechog seems very good too. I think I am a Jodo Shinshu practitioner first. I hope it doesn’t matter. I am very frightened for our lives. Thank you so much Dearest Rinpoche !!! How do you make the tormas red? Thank you Rinpoche for the explanations above. Wish that I can be part of the puja team one day. Thank you Rinpoche for all the pujas sharing. The knowledge I receive here can connect me to Buddhahood. 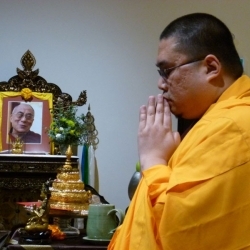 Thank you Rinpoche for the detailed explanation and correlating dharma talk which Paris transcribed. I don’t have the causes to perform these pujas at the moment, but it will help me focus on my own practice and on what I can do to improve. It is helpful to study the information, then apply the concepts where they can connect. I saw a book on The Intention Experiment today (didn’t buy the book), how our thought can heal the world. I am thinking, if we can do a prayer every week for a start that dedicate our thought to heal this world. How wonderful can that be, since it incorporate into our prayer session too. The reason of this sudden interest in this Intention Experiment is not sudden actually, I have been thinking for some time about the inequality in the wealth and poverty among different countries and people in the world. Not that I don’t believe in Karma, that everyone are result from their past, the other side of argument/position of our thinking is, we can do something, we can start to change and to make things right again. That come to my mind is that the world now need a revolution in the financial world system. We need a change now. Recently, the new movement of “Occupy Wall Street” started in new york any spreed to many different countries already. I think many people are thinking about the need of revolution. So the Intention Experiment is not that sudden when I think of it, when I saw that book today. This lead me to thinking, if we can now start to cultivate a mind or intention thought/prayer specifically for healing our world and bring world peace in everywhere we live in this world, won’t it be good we can start to have it in our mind stream now? which it will eventually become a new heal the world or world peace movement that come in the future, just like the “Occupy Wall Street” it won’t start just like that, many people have been thinking about it in their mind and eventually become a movement. For a world to heal, we can try thinking good thoughts and good action toward this world too. right? sorry for long story and hope you can answer few of my questions that is more relate to his article, Puja. please advise or write for us a special prayer to have in our mind or thought that we can add into our prayer before the prayer or in the dedication part, toward healing the world? please advise what puja we can do weekly specially dedicate to minimise or lessen the natural disaster in the place we stay and in other part of the world? 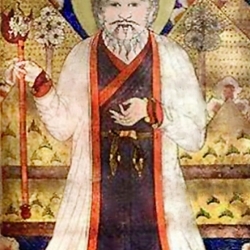 Tsong Khapa puja? Setrap Puja? Rinpoche, Please live long and healthy to teach us Dharma. Thank you. I like your noble motivation. Pujas are truly amazing and have effacacious results when done by practitioners with the right motivation and right knowledge. There was a lady whose daughter was ill and the daughter kept having high fever non stop and when pujas were started by the gaden monks her fever immediately subsided.